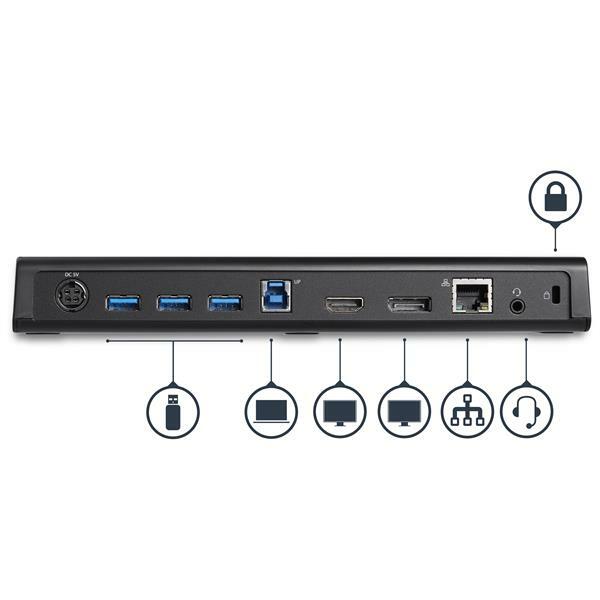 This 4K USB docking station supports DisplayPort plus HDMI dual video, or a single DP display at 4K Ultra HD resolutions (3840 x 2160p). 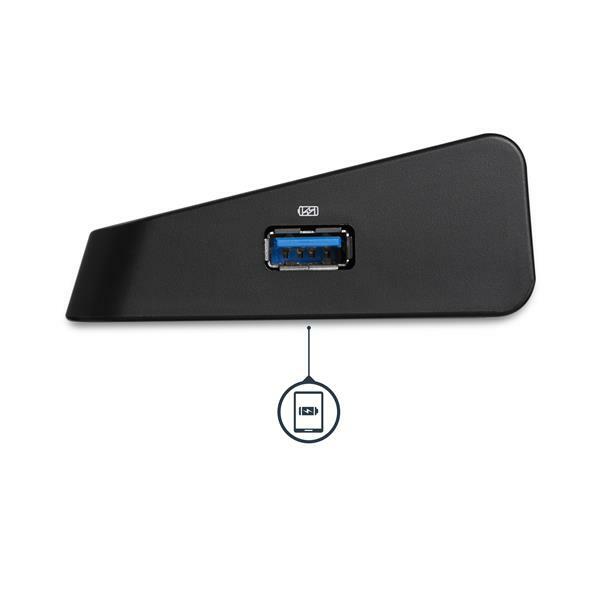 This docking station with DisplayPort and HDMI is universally compatible, working with Mac and Windows® USB 3.0 equipped laptops and includes a 2ft. USB 3.0 cable for quick setup. It works well, but I've had a few problems with the device so far. 1. 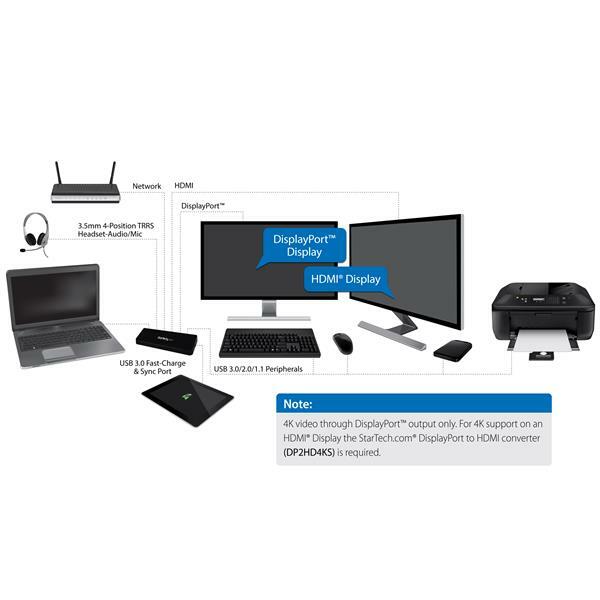 At first, it didn't pass through the ethernet connection despite saying it had the latest drivers. Finally, today, it updated the drivers and it looks like now the ethernet connection works. 2. The OpenGL drivers that are connected with this are out of date. I have a few programs that require the latest OpenGL drivers and I've been unable to get them to update. It works just fine when I plugin the monitor directly to the HDMI, but that defeats the whole purpose of this device. (It says that OpenGL is at 1.1.0) Other than that, it works great. (5 stars) Exactly what I was looking for! 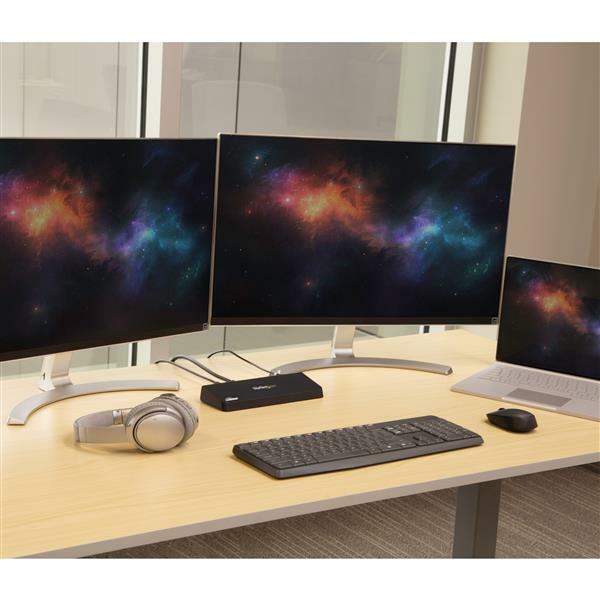 I bought this product in order to get the best resolution possible while splitting two 4K resolution monitors from my laptop. This docking station proved to be worth its price and then some from first use. 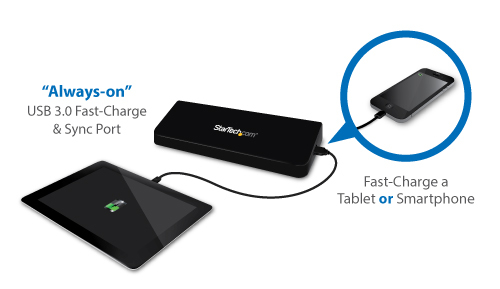 If every product that Startech sells is this reliable, I'llegue definitely be purchasing from them again in the future. 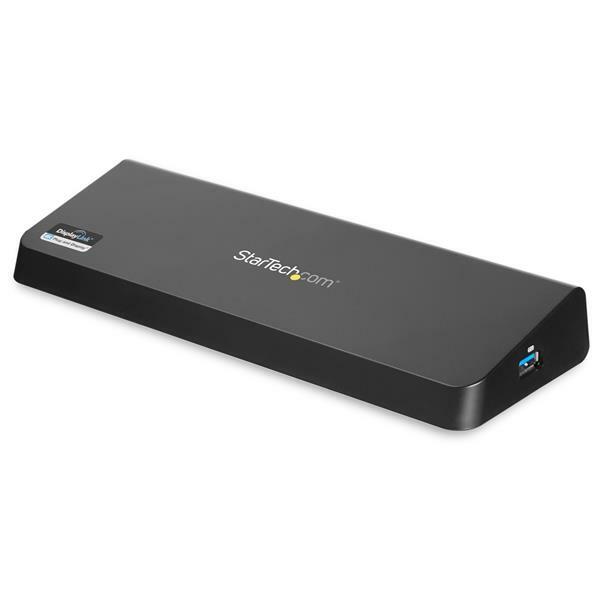 Using this with Lenovo yoga 3 pro and a 4Kmonitor. All interfaces work perfectly. Highly recommended. 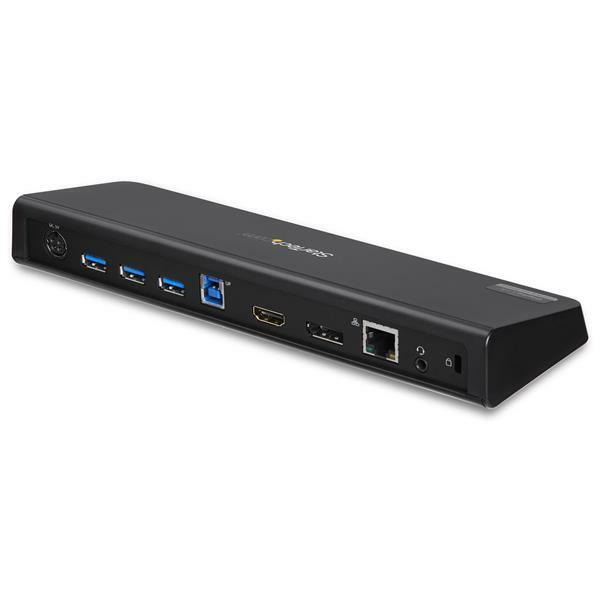 If connecting a laptop and two additional monitors will the laptop monitor work as well or will it black out?